Bought this as a gift for my father for Christmas, and he loves it! It fits nicely inside his wallet, and he has used it on numerous occasions already. The hedgehog is a unique and charming shape for this versatile tool. 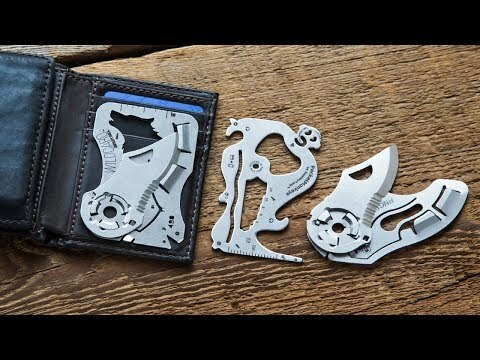 Not only does this fit in my money clip/credit card holder, but it does exactly everything that I needed it to do! Thanks for a great little idea/creation from a great company! 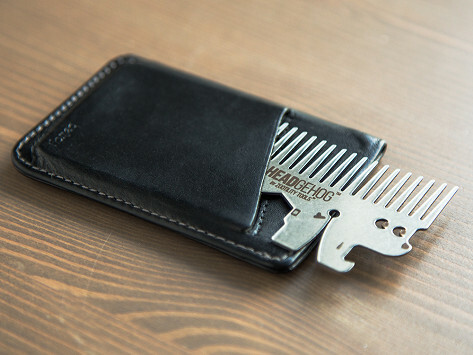 This replaced a wallet comb with short teeth. The longer teeth alone are worth the price; having the tools is a bonus. The Hedgehog slides into my wallet perfectly. This women who doesn't carry a purse surprises people with the tools! I ordered this comb for my son. HE LOVES IT!! He told me it is great and it doesn't catch in his hair. This comb is tough holding up to even his rough handling. He's even done a good job so far of keeping track of it. He looses a lot of stuff, but not if he likes it and he loves this comb! I purchased this gadget cause we had in Thanksgiving the need to open a bottle an had no tool here to use. So I purchased this cute gadget with several purposes to have a useful tool in our apartment. I purchase from Gommmet because small bussiness are unique and have fresh Idea's. Grommet is and will continue to be my first stop for gift's and unique purchases for me and My Family ..YAY Grommet ! Hedgehog is still being spoke about what a fab idea & it fit's in a wallet how FAB ! I like everything about this tool, especially the 100% smooth strong material. Great arch and tines on the comb with no catching or pulling hair. Perfect size. With all the little built-in gadgets, it gives me the grip needed to use it as a weapon of self-defense. ♡♡♡♡♡ THIS GREAT PRODUCT! I had another wallet comb from another manufacturer that I was happy with, but left it at my parents during a recent visit. Saw the Hedgehog on Grommet, gave it a try, and very impressed with the design and heavier duty feel. Bought three more as gifts to the manly men(with hair)in my family. Very useful for on the spot small repairs.